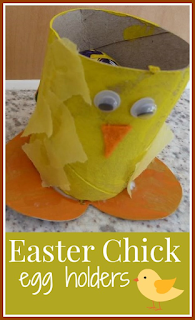 Last Easter I shared some easy to make Easter bunny egg holders from toilet roll tubes. They were based on something that I used to make for my family when I was little as a little Easter gift, sized perfectly for a Cadbury's Creme Egg or similar. Another craft which is just as easy is these cute little Easter chicks. They are made from a toilet roll tube simply cut in half and painted yellow. The feet are made from some shaped cardboard painted orange, and some wings can be glued on with yellow tissue paper. Then just add some details for the face, I used googly eyes and a triangle of orange felt. 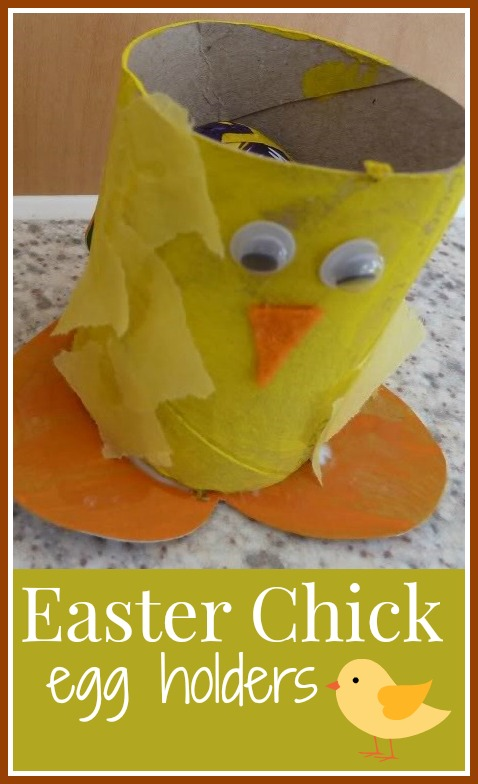 These are so easy for young children to make, and if you let them stick on the accessories they can give each chick its own personality. 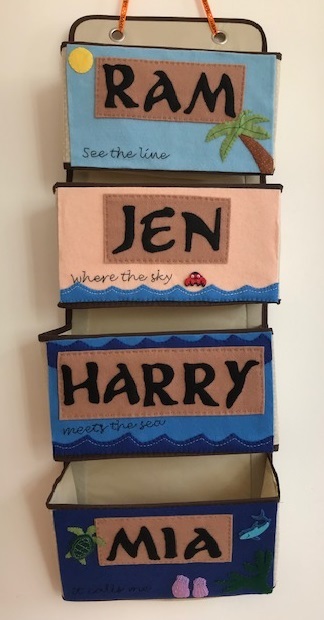 They would make great Easter gifts for friends or classmates. What an example of creativity! I must say that intense creative thoughts and utmost passion are needed to make such cute and admirable easter toys. Oh my goodness have you made rice krispie easter egg nests already? I can't wait! My little man was too young to know what they were last year but he is going to love them this year (and I might have one or two as well). Pinned! I love these. So sweet and perfect for Easter!